GOOSE VPN and ProtonVPN are highly popular worldwide thanks to the high level of protection and anonymity they provide. They are fast, reliable, and safe, which is why we warmly recommend them as premium-quality VPN solutions. However, if you are curious to find out which one of them represents a more advantageous option, this GOOSE VPN VS ProtonVPN comparison can help you see exactly how they compare to one another and which one boasts a more impressive offer. GOOSE VPN is a Netherlands-based VPN service that offers excellent speeds, smooth performance, strong encryption, unlimited simultaneous connections with a single account, and high-level privacy with a strict no-logging policy. 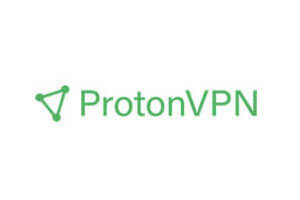 ProtonVPN is a powerful VPN solution that enables you to enjoy great speeds, excellent performance, and maximum security and privacy. It keeps no logs, offers built-in Tor and P2P support, and allows up to 10 concurrent connections. Simple and functional, solid speeds, but for me leak protection is a must. I would’ve given it 5 stars, but the free trial is just so ridiculous. First, it’s not even completely free if there is a verification fee, second, 500 MB. Why even call it a 30-day trial if you only get 500 MB, just say, you get 500 MB for free, without making it seem like you get to use it for free for a month. That said, I have no complaints about the VPN itself, it’s fast, P2P-friendly, no connection issues whatsoever. Simple to use and actually works. I got the 50 GB plan because I don’t use VPN all the time, so it’s pretty cheap too. I have a Plus account and I use it both on Linux (Debian) and Android. I don't know why many websites don't consider Proton in they comparisons: it seems to be an excellent VPN service, not cheap but if you can afford a Plus account it's worth the money. Visionary is very expensive but it's for companies and most users don't need it at all. Speed is decent and, if you use a close server, it's almost equal to your normal speed. What i like of Proton is the secure-core option (only for Plus and Visionary) that allow you to use an extra server located in a privacy-friendly country and the TOR servers: thanks to TOR servers you can browse onion sites without installing TOR: you just enable onion in Firefox from "about:config": find "network.dns.blockDotOnion;true", double click and change it to "network.dns.blockDotOnion;false". You are done! On Android it works like a charm both on wifi and data. For Linux users my advice is to use the command line version rather than manage it from the network-manager. My final thought about it: ProtonVPN is a solid reliable service to protect your privacy and encrypt your traffic. This is brilliant for what I want it for, using it for Windows now just waiting for it to be on the Amazon Firestick/TV. THE best VPN, if you can afford Plus or Visionary. Enjoy a full overview of ProtonVPN’s impressive features and explore its usability, functionality, and affordability, as well as its greatest shortcomings in our easy-to-understand ProtonVPN review.